It looks as if Sega has more plans for the Aliens franchise. After the almost universally terrible reviews of that space turd called Aliens: Colonial Marines (by Gearbox and TimeGate), they are taking some of that critically negative advice to heart. Is this the face of a badass? Possibly. The new Alien game for current and next gen consoles is called Alien: Isolation (being developed by the Creative Assembly) and is starring Ellen Ripley's daughter(mentioned in an Aliens deleted scene). An odd choice of character to plunder. I'm sure they want to retain the ultimate badass Ripley namesake while getting a bit of freedom in the storytelling department. Presumably, it'll take place after the first movie, but before Ellen Ripley was awoken from her 57 years of hypersleep. Although due to the inclusion of "hypersleep technology" one can't really tell. "According to our source, the protagonist of Alien: Isolation is Amanda Ripley, daughter of Ellen Ripley, the character that made Sigourney Weaver famous and kicked off the ubiquitous sci-fi franchise over 30 years ago. Amanda, who is mentioned in the special edition of Aliens as having died while Ellen was frozen in space, has not yet been the focus of any books, movies, or games in the Alien extended universe. You, as Amanda, spend most if not all of the game on a single space station, according to our source. There's only one alien for "most" of the game, our source said; you'll mostly be shooting through "clones and soldiers." Vents, lockers, and melee weapons are a big part of Isolation, our source said, and the game is heavily inspired by the first Alien movie." It's said to be a first person shooter combining stealth and horror. They're aren't many details other than that, but at least they are listening to the fans about the horrible way the Aliens franchise has been handled in the past. 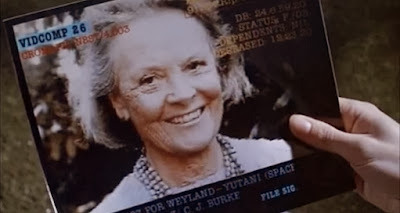 What I'm wondering is if Burke lied to Ripley (Amanda died at age 66), which is something he would definitely do, what are the odds that her daughter would encounter something this similar? Why not make a stand alone tale about some nobody in that time period? Draw reference from games like Dead Space, and create an atmosphere of fear and desperation in space. This should be survival horror, not a clone shoot-em-up.